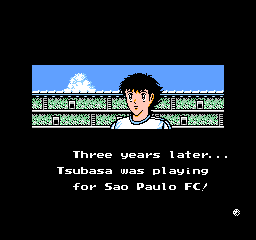 This translation was made by hayabusakun and is for the ROM Captain Tsubasa Vol. 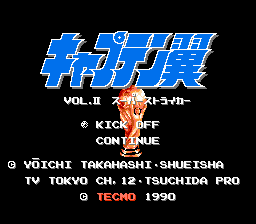 II - Super Striker (J). He granted me the permission to make an ips patch from his work. 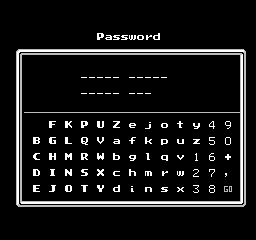 The original release was in ROM format. This game is based on the popular anime series. Some events in it don’t occur in the series, and some of the shots were created just for the game. The game has a long plot, lots of animations, great effects for the special shots, and an awesome soundtrack. 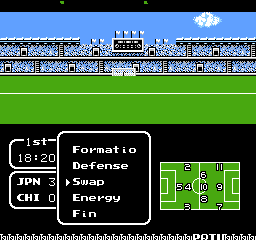 If you liked the first game for the NES you’ll surely love this one. When it comes to fan translations, I expect and only want the best in both hacking and translation. I have no complaints with the translation of the text. It looked pretty decent to me except for the fact that it used Japanese quotation marks (No!!). I’m probably being too harsh with this, but the hacking seemed almost noobish to me. The cutscene stuff is fine, but the game went to hell back for the menu’s. They suffered from abbreviations, ultra-squishy tiles and just plain old awfulness. If this were me I would not have been able to live with myself. So a decent translation that suffers from noobish-like hack. I would not play the game because of this, but I’m sure there are people who are able to look past that part.